If allergies aren’t totally bogging you down (seriously, is it this bad everywhere? ), then get outside and enjoy a nice, relaxing weekend. One filled with fresh eats from the farmer’s market, plenty of sunshine, and great company. 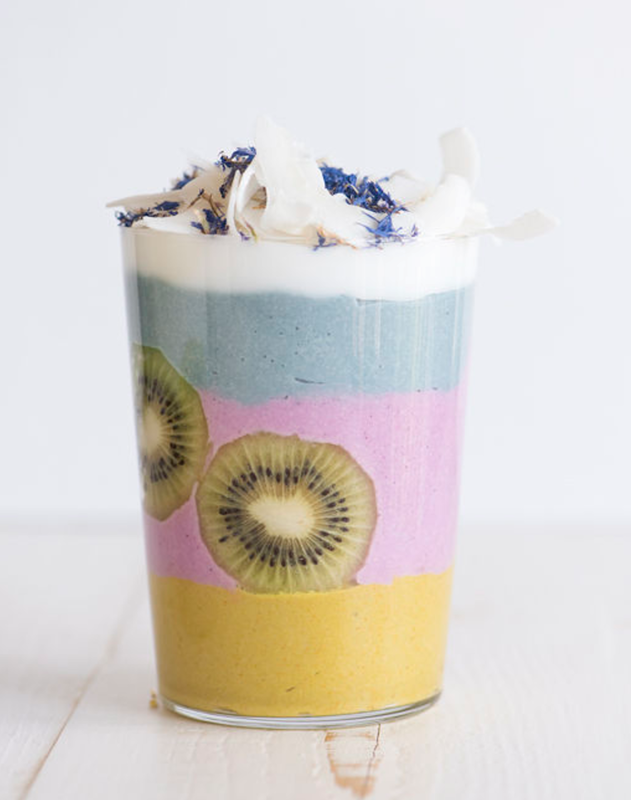 We might want to make these layered smoothies just for the photo op. 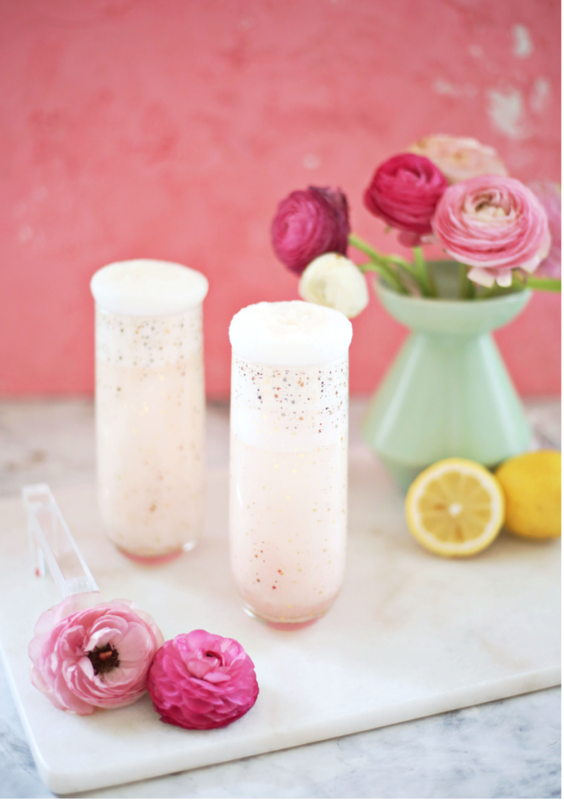 Gorgeous—and healthy!—we’re betting that they’ll be just as fun to make as they will be to drink. 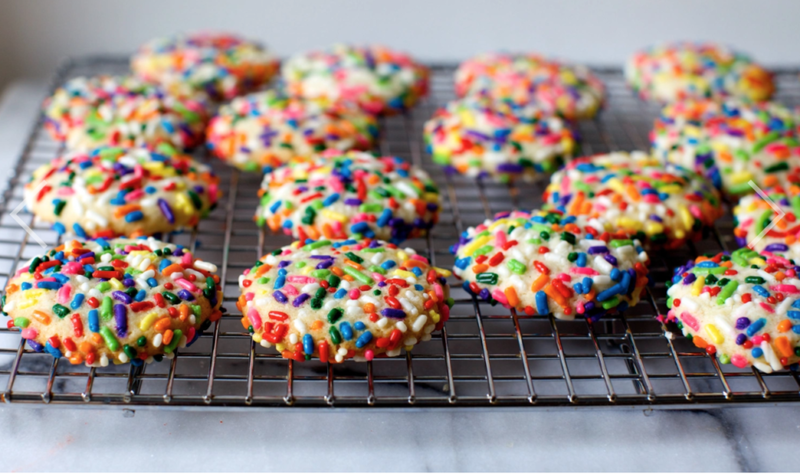 These colorful cookies from Smitten Kitchen have just been added to our steadfast favorites list—they’re delicious, easy to make, and so pretty! If you keep up with the popular music scene, you’ll be treated to an array of performances from artists spanning multiple genres. Even if you don’t, there’s plenty to tune in for Sunday night. Perhaps the best part? Celine Dion is set to perform My Heart Will Go On—get ready to be taken back to the days when we only had eyes for Jack Dawson. 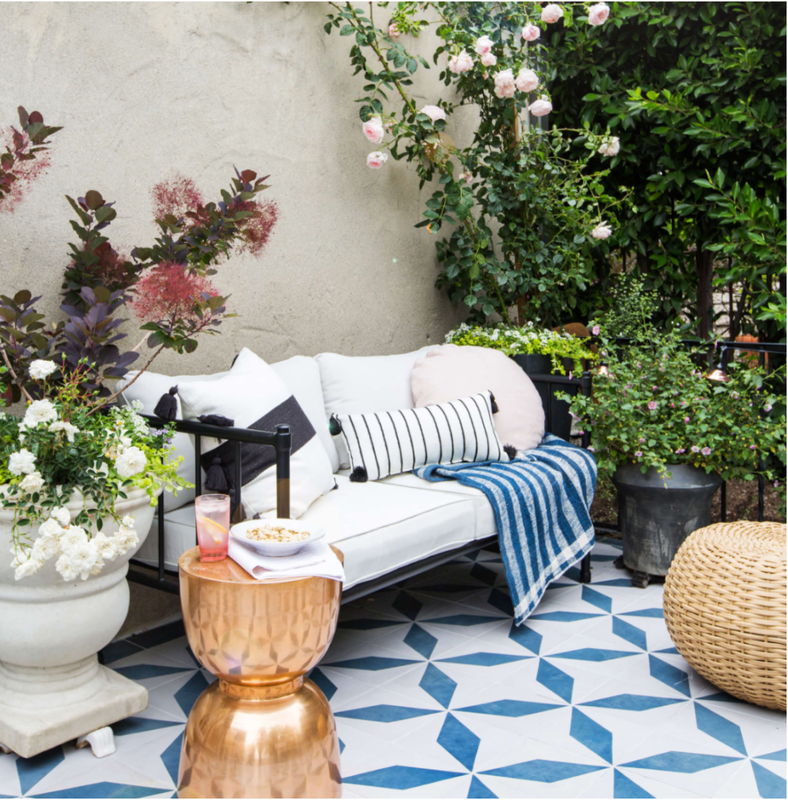 Now that it’s officially rosé season, we’re daydreaming of sipping it from the likes of Emily Henderson’s newly-finished patio. Seriously, how picturesque? We feel as if we haven’t taken full advantage of rhubarb season, so this cocktail from A Beautiful Mess promises to do the trick. Maybe Emily Henderson will let us drink it on her patio?